Longtime FAWN members sing a song at the closing ceremonies of FAWN2000 to celebrate its 20th anniversary; L to R, Rosemarie del Rosario, Lina Susbilla, Dr. Penelope Flores, Linda Nietes, Alice Bulos, Alma Chand and Fely Santos. Photo courtesy of Filipinas Magazine. For many years now, Filipino women in America have been an intrinsic part of the Asian-American community and of U.S. communities-at-large. They remain also an integral part of the whole of the Filipino nation that exists worldwide. Their significance in the United States should be acknowledged and valued as Filipinos are fast becoming the largest Asian group in the United States. Today, Filipino women everywhere are stretching the horizons and possibilities of life as women and as global citizens. FAWN Conferences have been a bi-annual gathering for socially concerned and active Filipino women across various disciplines, careers and lifestyle in constructive dialogue. It is a tradition brought about by an organization once called the Filipino American Women's Network (FAWN). Since the 1980s various women's organizations and groups have taken turns hosting a gathering for Filipino American women called the FAWN Conference. The organization of NewFilipina, Inc. took up the challenge to carry on the tradition of FAWN and bring about the FAWN2005 conference in New York City in June. The FAWN 2005 Conference is organized by Perla Daly and other volunteers of NewFiipina, Inc. The fiscal sponsor is Philippine Forum. To bring together dynamic Filipino American women in order to inspire, motivate, and further each others' personal success and all our efforts of community service for the advancement of humanity. Honor the spirit, leadership and successes of Filipino women in North America, the Philippines and around the world and to inspire and support the same in others. Raise awareness about various issues that concern us in our lives--- self, relationships, work and the communities we are part of. Impart ways that have actualized growth and change for the betterment of others. Foster sisterhood through our commonalities and create understanding, respect and acceptance of our differences. Promote the connection to heritage and roots. Propagate and sustain various resources of networking. Cultivate the integration of traditional and progressive thinking. Create alliances and collaborations between organizations. Click here to see pictures and feature about FAWN2000 in San Mateo California. FAWN2000 was brought about by Filipinas Magazine, the Filipino Women's Network and many volunteers in San Francisco.  FAWN was established as a national organization in 1980, following the first National Asian Pacific American women's conference held in Washington, D.C. Today, FAWN no longer exists as a national organization but does have chapters in Minneapolis, California and Virginia. Nevertheless, its vision of networking for unity have been carried on since, as various FAWN chapters and Filipino women's groups around the U.S. have taken turns to organize a FAWN national conference every two years in places such as Chicago, Washington D.C., Arlington, San Diego, Minneapolis, and Miami. 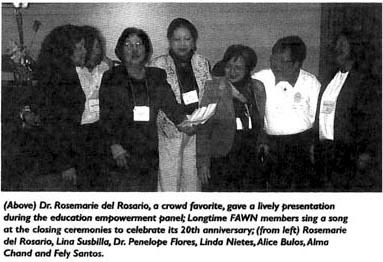 The last FAWN conference was held in San Mateo in March 2000 by the Filipino Womens Network(FWN) and Filipinas Magazine. Alice Bulos, Co-founder, is known as the grand dame of Filipino-American political advocacy or the Grandmother of Filipino American politics. She and her late husband Dony Bulos founded the Filipino American Grassroots Movement, a voter registration drive that sought to involve Filipinos in the political process. Bulos is co-chair of the California Democratic Party and the state chair of the Filipino American Caucus. In 1993, she was appointed to the Federal Council on Aging by President Bill Clinton. Bulos, who graduated from the University of Santo Tomas (UST) with a master's degree in social and behavioral sciences, taught sociology at UST from 1951 to 1971. She was the UST sociology department head from 1967 to 1974. When she came to the United States in the late '70s, Bulos was an employment counselor from 1977 to 1982. For Bulos is still deeply involved in community work and political activities. She continues to encourage Filipino Americans to become more politically involved. "The awareness is there, but we need to work on the participation, involvement and commitment among Filipinos," she says.